Rajasthan - the royal state of India offers amazing sights and sound. For an unforgettable retreat into the desert lands with heritage hotels, camel safaris and authentic cuisine check out Rajasthan. Like many important travel destinations in India, Rajasthan is connected by air. Flights to Rajasthan and flights from Rajasthan make the fastest means of commuting. Wish to book your tickets for flights to Rajasthan? We as a leading travel agent for Rajasthan offer travel services to make your travel to Rajasthan comfortable. Just let us know your detailed requirements and we will offer you the best deal on the flights to Rajasthan. 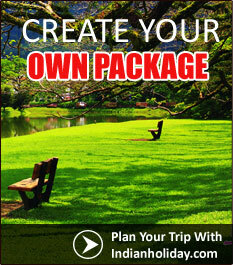 As per your budget you may opt for cheap flights to Rajasthan. Arrangements can also be made for charter flights to Rajasthan. For any travel destination in Rajasthan we can book flight tickets.